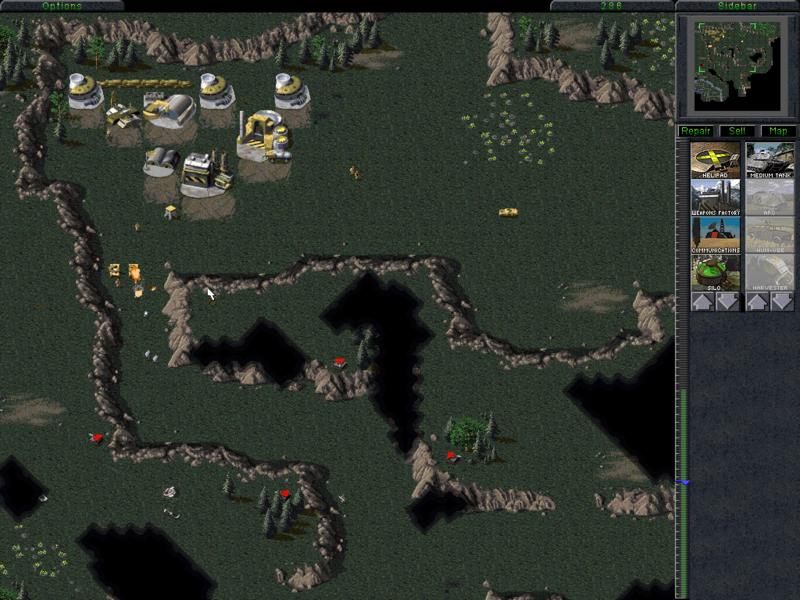 I assume you're referring to the original Tiberian Dawn? These forums are actually about a remake of the game using the C&C 3 engine. I don't know whether the original C&C works under Vista. It might be best to post this question on the EA C&C 3 forums. -put the CD into the CD drive and go to "my computer > CD drive (open folder, not autoplay)", search the file setup.exe and right-click on it. Go to properties and set it to windows 98 compatibility mode. Execute the file and install the game. 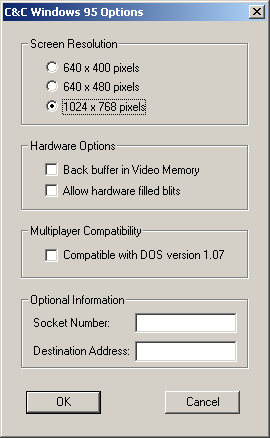 Then you install the C&C95 Quick Fix Pack from this webpage and set the c&c95.exe to win98 compatibilty mode, also check the boxes "640x480 screen resolution", "disable visual themes", "disable desktop composition", "disable display scaling on high dpi setting". umm... you only need Win95 compatibility mode. No other compat settings. Mind you, if you have 64-bit Vista, the installer won't run at all because it's a 16-bit program. In that case, you can only install the game by using WinPack to unpack the game from the file SETUP.Z in the INSTALL folder on the CD. Oh and twiddles01, you DO know you can download RA1 for free now, right? Bah, it's easier with TFD! On witch Nod maps are the parts for the nuclear bomb placed? And how do I access the Funpark missions i TFD? For the nuclear components, the need for those was actually removed way back in one of the patches for the DOS version (before C&C95 was even made) because that system was buggy, so you don't need to worry about those. As for funpark... get patch 1.06a, and it's all easy as pie. You even got the choice; either you start the included Funpark launch program "funpark.bat", or you activate it in CONQUER.INI (more permanently, don't forget to deactivate it later if you do this). Ok! I didn't know that about the nuke parts, but that's great. I would hate it if I didn't get the nuke at the end. I may release an update of the patch pretty soon, with more added music options, like separate Nod score and map themes (these tracks were made, and even included in the files of the DOS version, but they were never implemented in the game), and a new game feature to play a different track on every campaign mission, so you don't get Act On Instinct burned into your brain (the N64 version of C&C does this, and it's really nice). What I really miss in TD is the ability too queue up units. Other than that I think it's perfect. I don't think I can add that. It's a complete overhaul of the construction code, and I don't even know where that code is located in C&C95.exe.